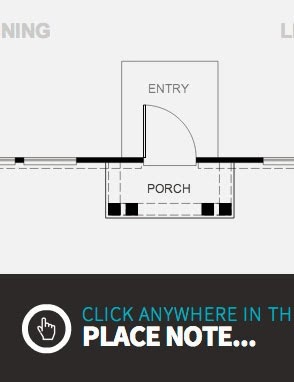 Bringing homebuyers the inspiration they need to personalize the home of their dreams. With the growing need for technology and application design of the future, Blufish Products felt it was time to develop an all encompassing online experience built in HTML5. 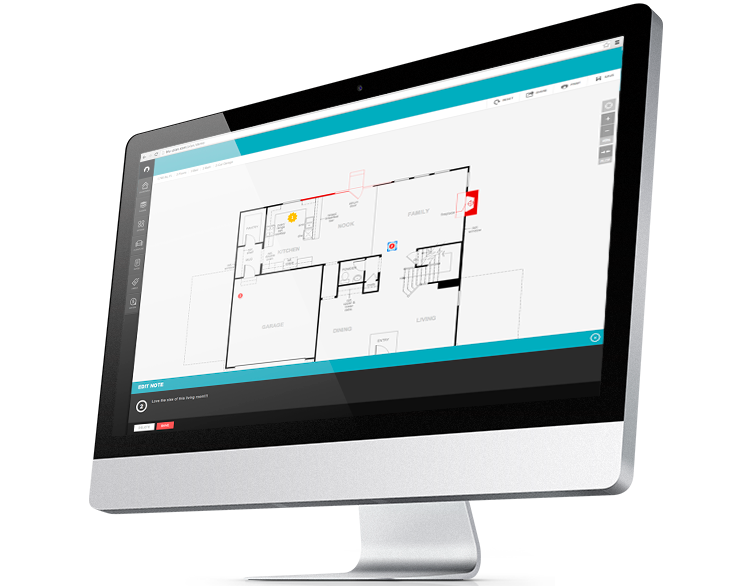 BLUPLAN™ provides all the tools necessary for any potential homebuyer to create and personalize the home of their dreams. 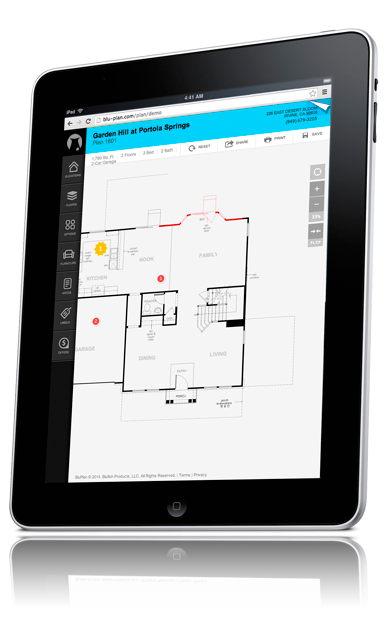 Homebuilders have all the features needed to provide a first-class homebuying experience and BLUPLAN™ provide all the analytics required to improve sales strategies. 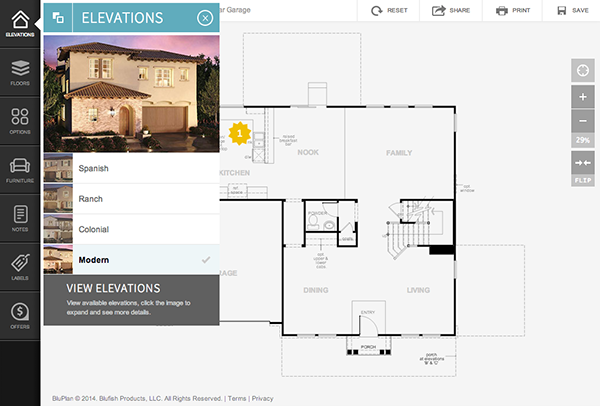 Homebuyers can now personalize floorplans in any modern browser with support for touch gestures on mobile devices. With an all new library, homebuyers can bring in and place furniture. 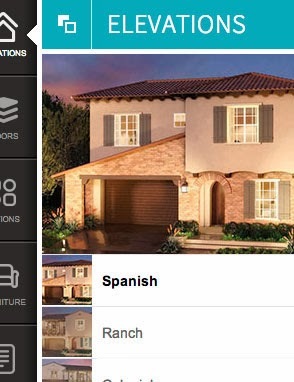 Homebuilders can now customize offers to potential homebuyers. 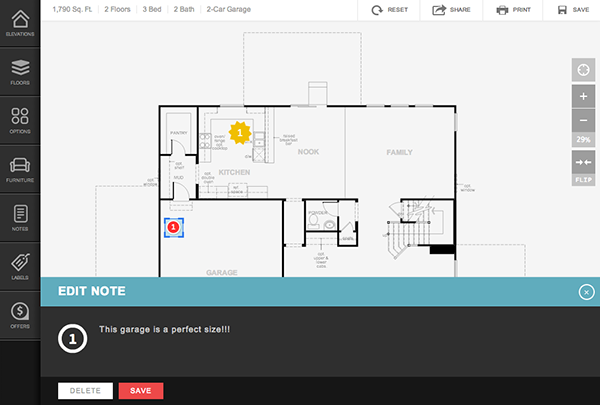 BLUPLAN™ makes it easy to create personalized notes and locate them where you want to. 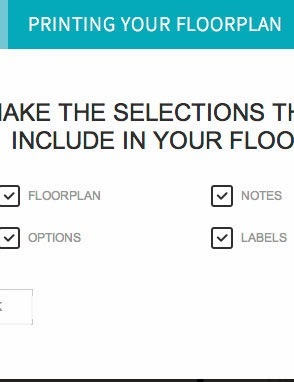 Customize labels to make the floorplan feel more personalized. 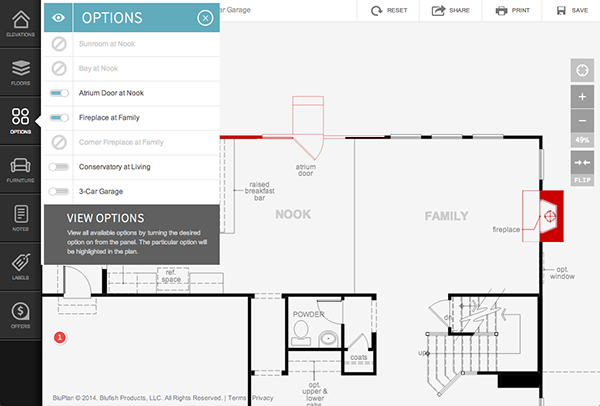 Homebuyers can now save, print and share their personalized floorplan. View all available options for a specific plan while in BLUPLAN™ by turning the desired option on/off from the menu panel. 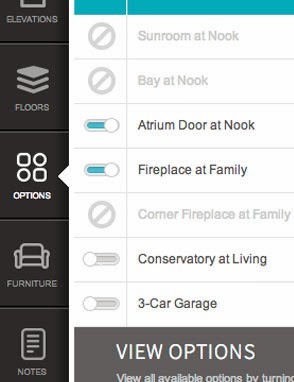 The revised system makes it easier than ever to view options & decide what works best for each individual home buyer. 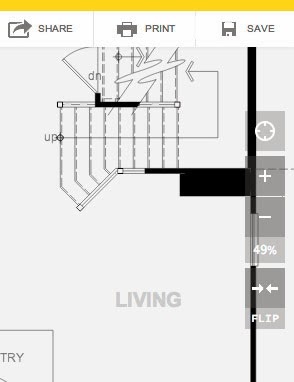 We have further enhanced the visual appeal by highlighting selected options on the floorplan itself. The internet is not what is used to be, PCs are no longer the number one source of internet traffic. This idea was the foundation that BLUPLAN™ was built on. 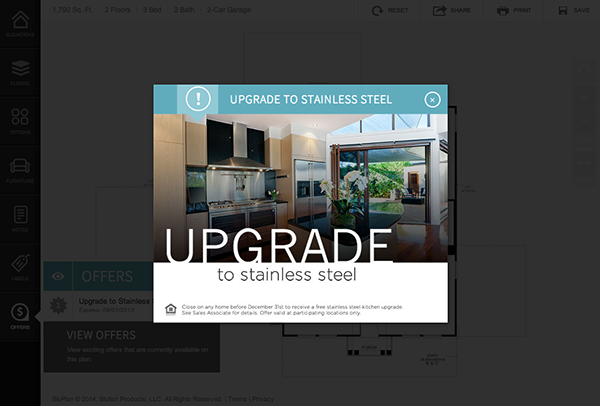 BLUPLAN™ is engineered to be compatible with all the modern browsers; Chrome, Safari, Firefox, IE9 +. 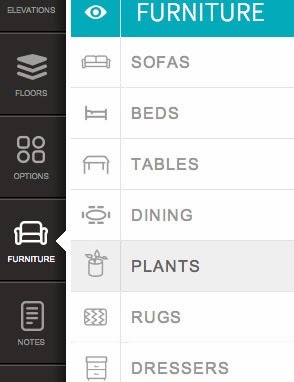 Use the latest touch gestures to manipulate the floorplan without the hassles of downloading an app. 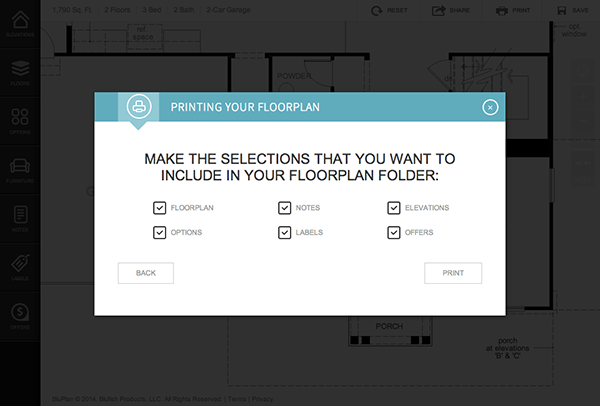 With the new BLUPLAN™, we have streamlined our process making it more affordable for you and quicker and easier for us. 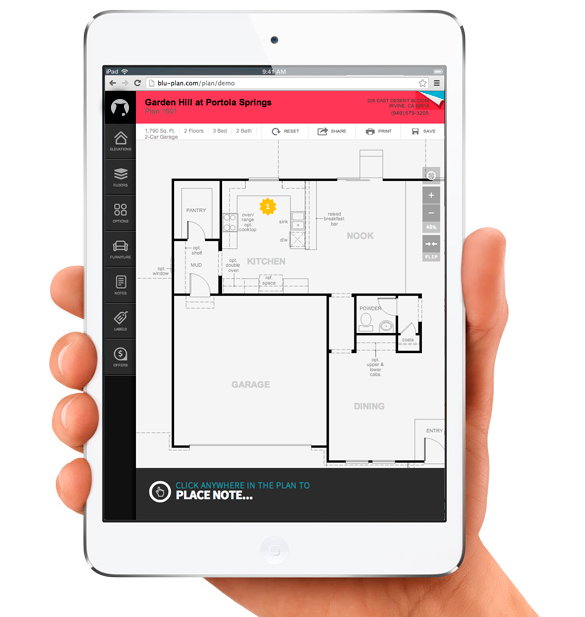 By re-engineering functionality, BLUPLAN™ has become more adaptable and less static bringing the benefits straight to your homebuyers. Individually customized accounts for each company, where you can get started for as little as $2,500. 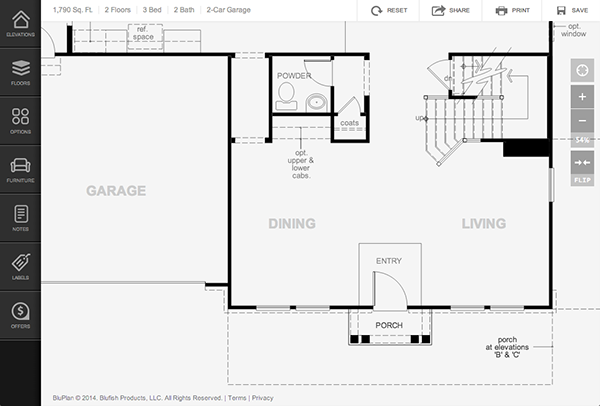 You can get started today with BLUPLAN™ for as little as $2,500. 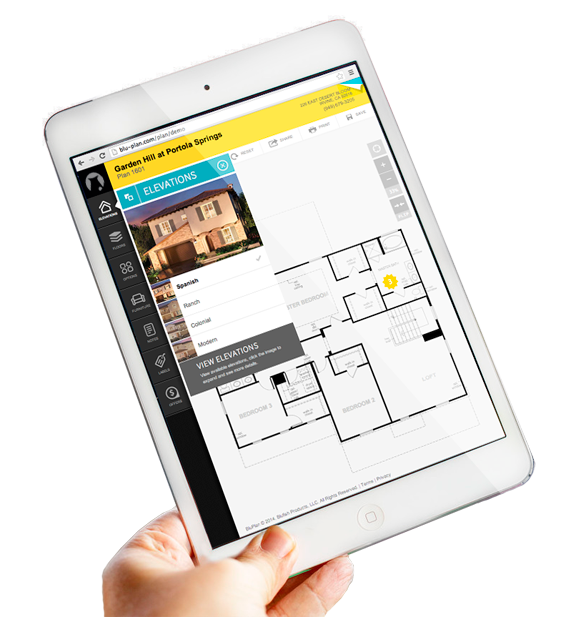 Each individual account will be tailored specifically for that particular homebuilder. Contact us now to find out how we can get started setting you up with BLUPLAN™. 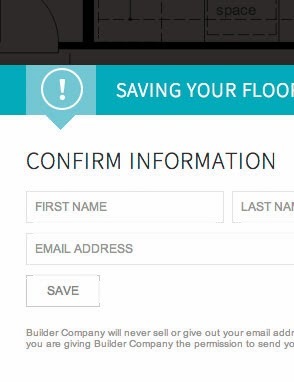 The simpler price plan includes $80 per floor & $40 per 8 options saving you money & us time. The brand new, simpler price plan utilizing the 80/40 method will save you money & us time, getting your plans online & active faster than ever. The one time fee per plan includes CAD Conversion (if CAD file meets requirements), converting your file from the old to the new version & publishing your plan online. 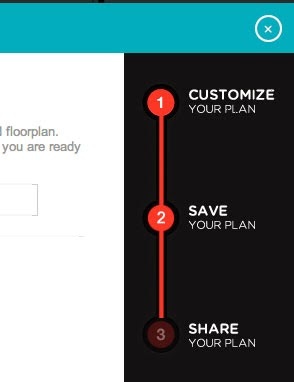 By adding a monthly per plan subscription of $5, we can continually update BLUPLAN™ and keep it feature rich. 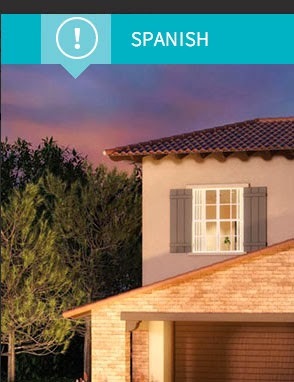 By adding a monthly subscription per plan, we are able to improve the success of each homebuilder. 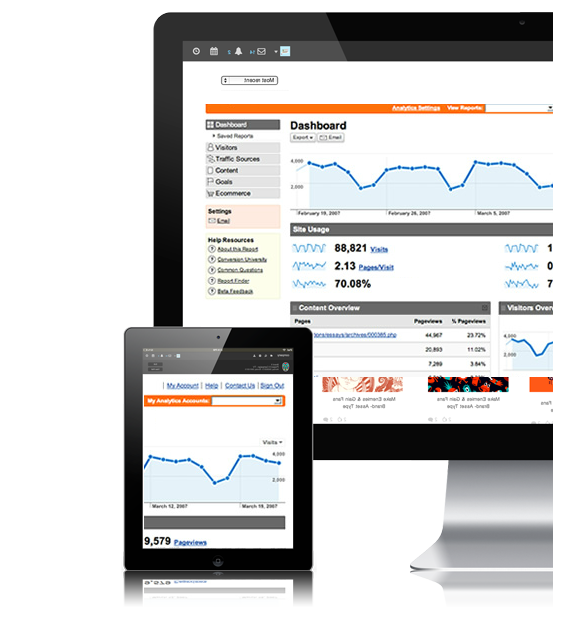 The monthly subscription allows for automatic updating as well as both behavioral and traffic analytics. New pricing strategy includes a monthly subscription per plan to help the success of each individual homebuilder. The subscription of only $5 per plan will help create a product that will grow with the times. All of our servers were redesigned from the ground up in order to provide the fastest and most reliable services. You get an experienced account manager and a dedicated support team for all your BLUPLAN™ needs. 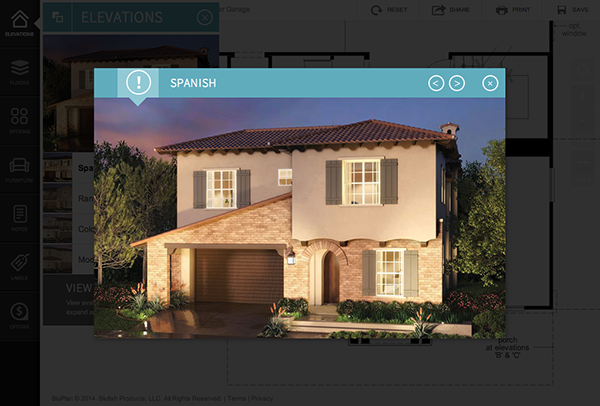 With the new BLUPLAN™, you as a builder will be educated more than ever with what your buyers are doing. As part of your monthly subscription, you will have direct access to a customized portal where you can review traffic & behavioral analytics. How did a homebuyer get to my plan? BLUPLAN™ provides all the tools necessary to disect the traffic visiting your plans. 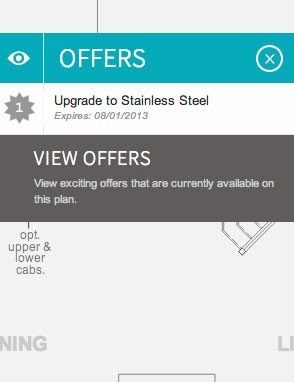 What is the most popular plan option? 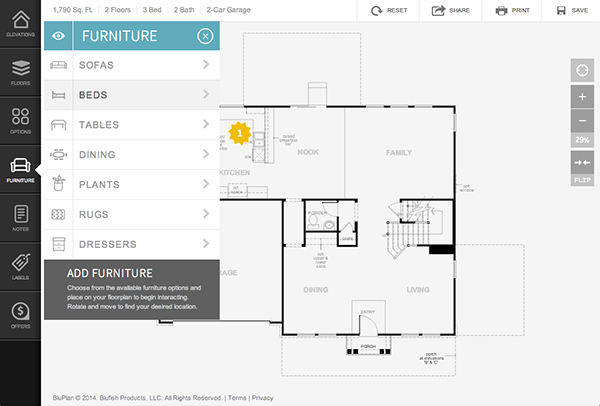 BLUPLAN™ provides powerful insights into the minds of homebuyers. 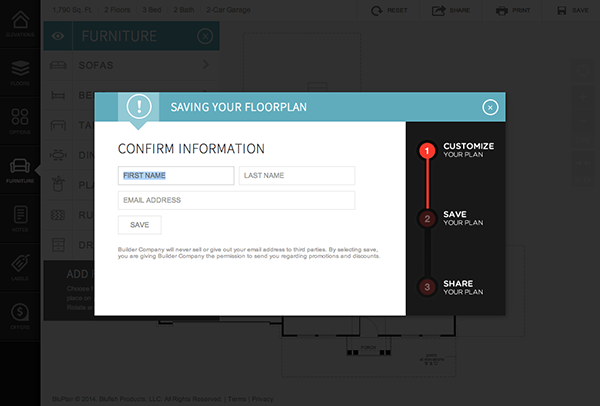 Here are a few screenshots of BLUPLAN™ showing its capabilities and core functionality. All Rights Reserved. 2014 BLUPLAN™, by Blufish Products.